This is such an amazing idea! Sounds absolutely delicious – thanks for sharing! So much more nutritious than regular old potatoes. Loving the vibrant color this adds to the dinner table! We’re always looking for healthier twists to classics we love and this is perfection. Such a fantastic dish to add to dinner! I know my kids are going to love it. This is a total Mom Win! I love the look of this! I like sweet potato mash, but I’ve never tried adding in more veg; it’s a great way to get kids to eat veg too… and me, I’m a salad dodger haha! 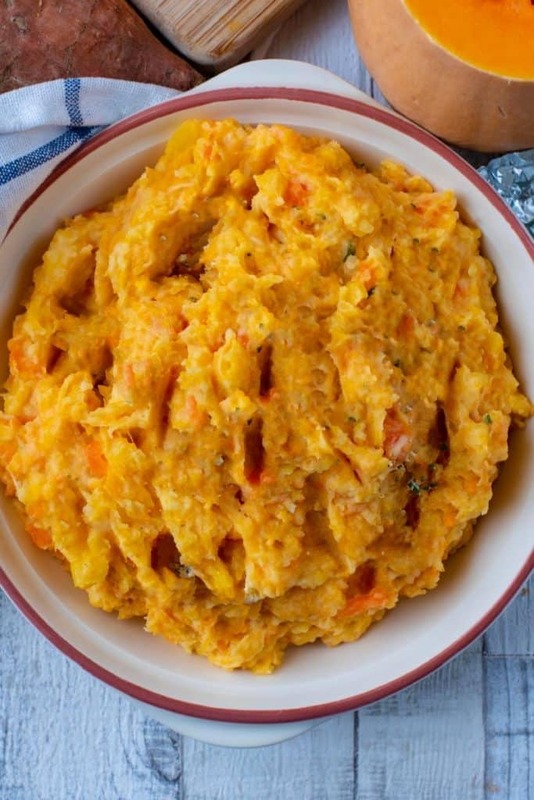 I love this vegetable mash. It looks delicious and can be a perfect healthy candidate for any meal. OMG this is such a great idea! 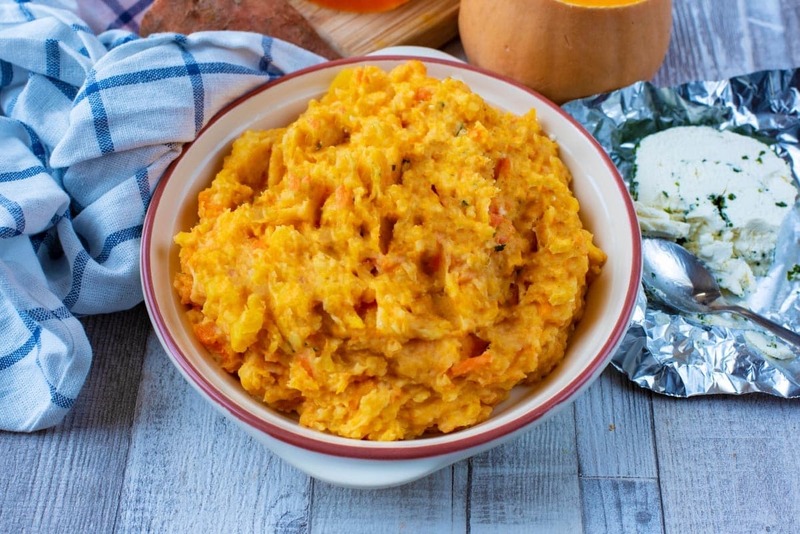 like a healthy alternative to mashed potatoes and i love it! def going to be trying this soon. This would make a great dinner side with some chicken or turkey! I think I will try it this Sunday, thanks for the great idea! I love that you can freeze this and rehear it for a quick side with dinner! I’ve only ever done mashed potatoes or cauliflower mash. Curious to try it with the extra veggies! I actually had to look it up what a swede is, and it turns out it’s the same as rutabaga, haha. Your root vegetables mash looks delicious and I’m sure so much healthier compared to the usual mashed potato. Will definitely try this the next time I prepare my usual mash. I love that anyone of all ages can enjoy this side! It’s so hard for me to get my kids to eat veggies – I can’t wait to try this! I bet they’d love it! Thanks for the tips on adding the cream cheese and freezing the mash! I never thought of using a baking sheet- brilliant! 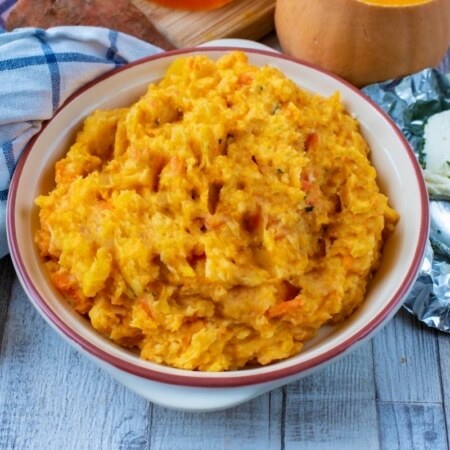 Easy and healthy side dish for every day! What a GREAT idea. I love all these root vegetables. Mashing them all together is such a great way to enjoy them all at once. 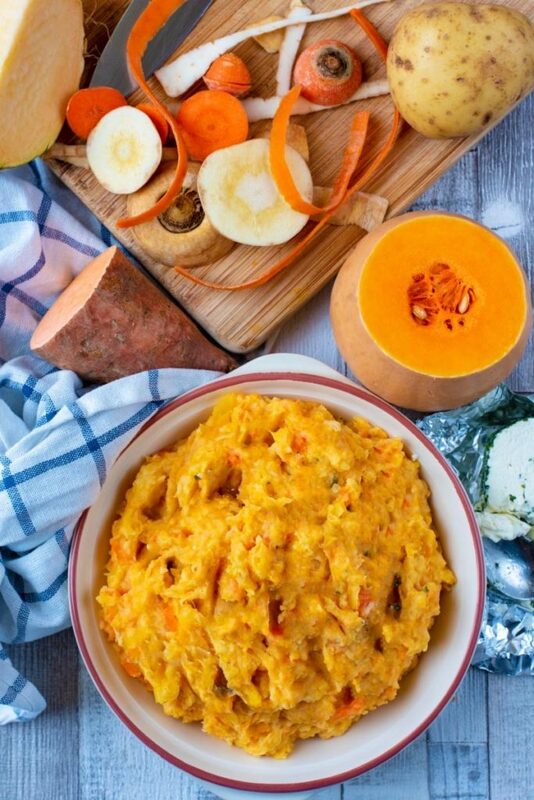 This is such a healthy mash. 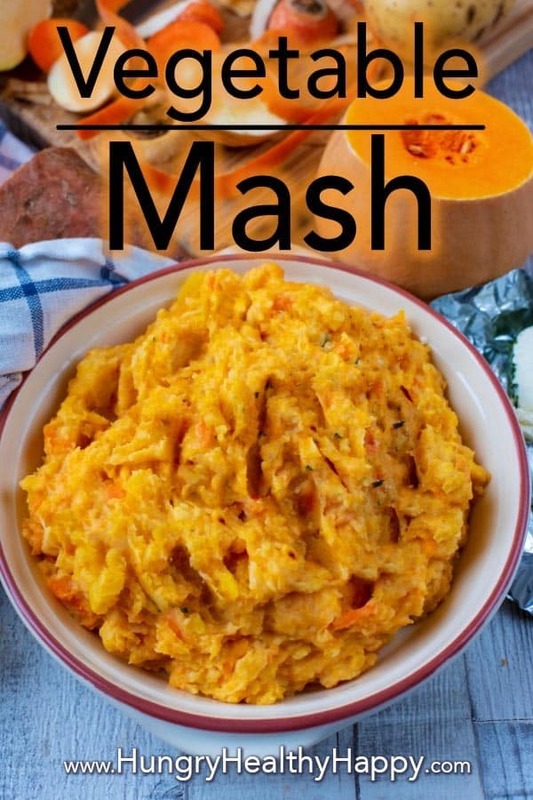 Love the vegetable used to making this delicious mash. Looks tasty.